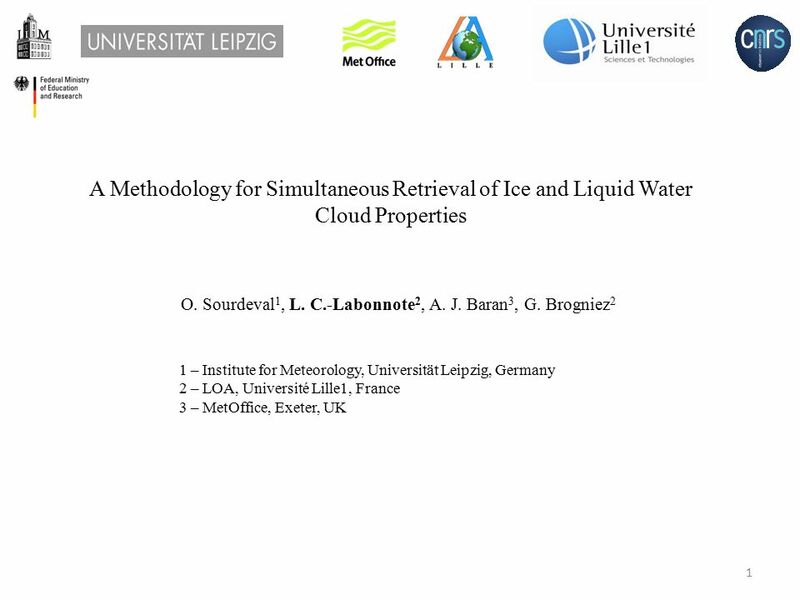 A Methodology for Simultaneous Retrieval of Ice and Liquid Water Cloud Properties O. Sourdeval 1, L. C.-Labonnote 2, A. J. Baran 3, G. Brogniez 2 1 – Institute. 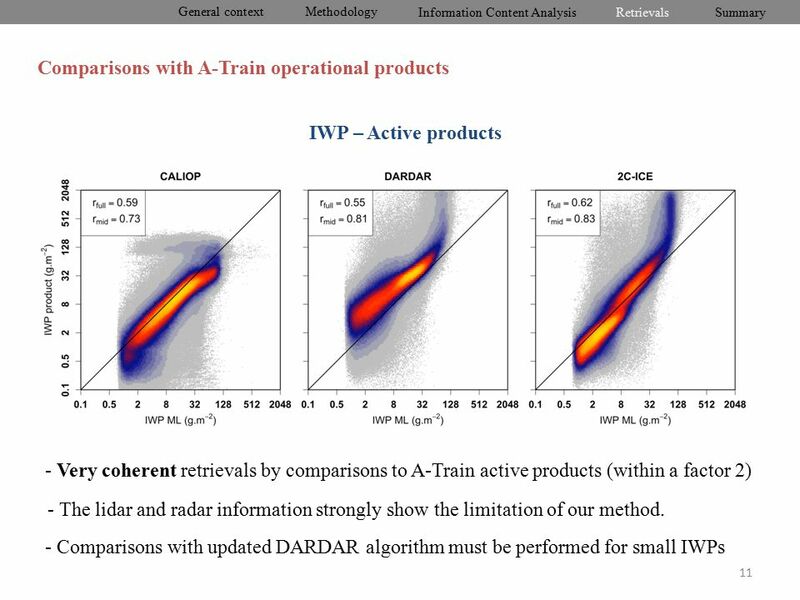 15 General context Information Content Analysis RetrievalsSummary Methodology 11 Comparisons with A-Train operational products IWP – Active products - Very coherent retrievals by comparisons to A-Train active products (within a factor 2) - Comparisons with updated DARDAR algorithm must be performed for small IWPs - The lidar and radar information strongly show the limitation of our method. 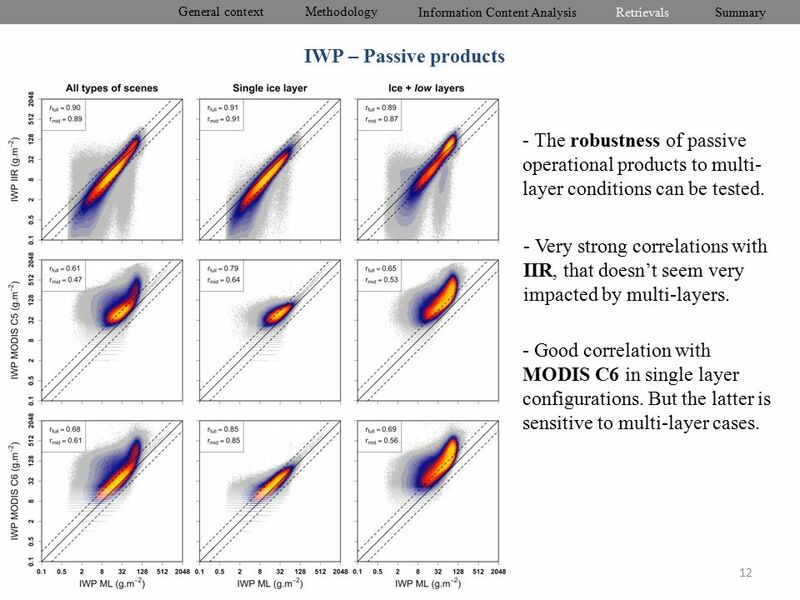 16 General context Information Content Analysis RetrievalsSummary Methodology 12 IWP – Passive products - The robustness of passive operational products to multi- layer conditions can be tested. - Very strong correlations with IIR, that doesn’t seem very impacted by multi-layers. 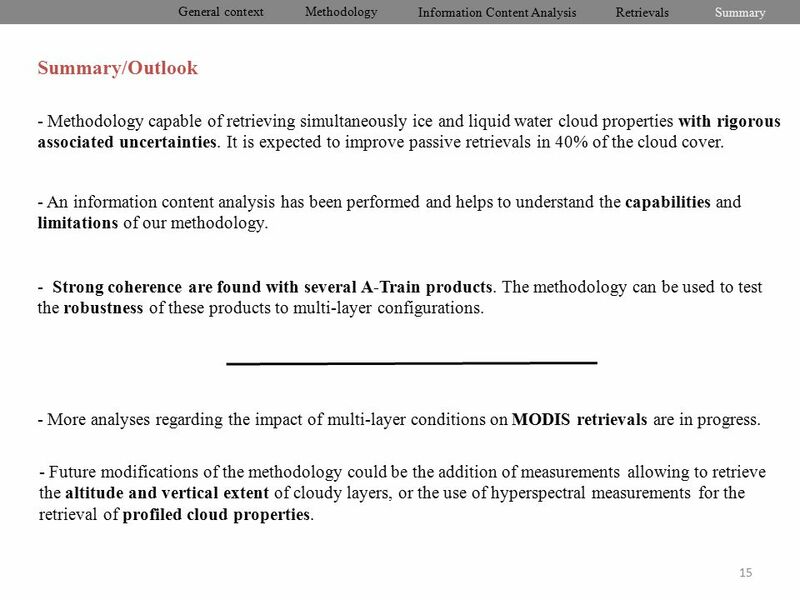 - Good correlation with MODIS C6 in single layer configurations. But the latter is sensitive to multi-layer cases. 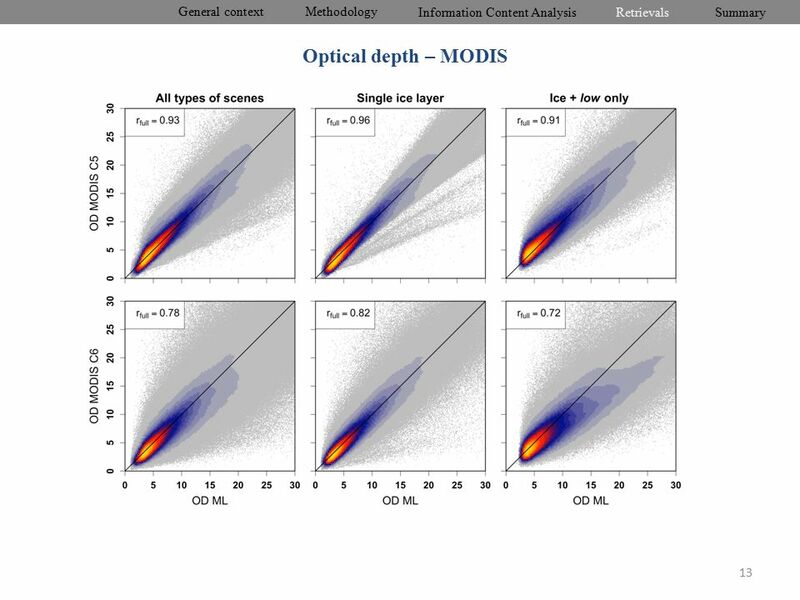 18 General context Information Content Analysis RetrievalsSummary Methodology Optical depth – MODIS - Differences between C5 and C6 are due to the choice of the phase in multi-layer condition. 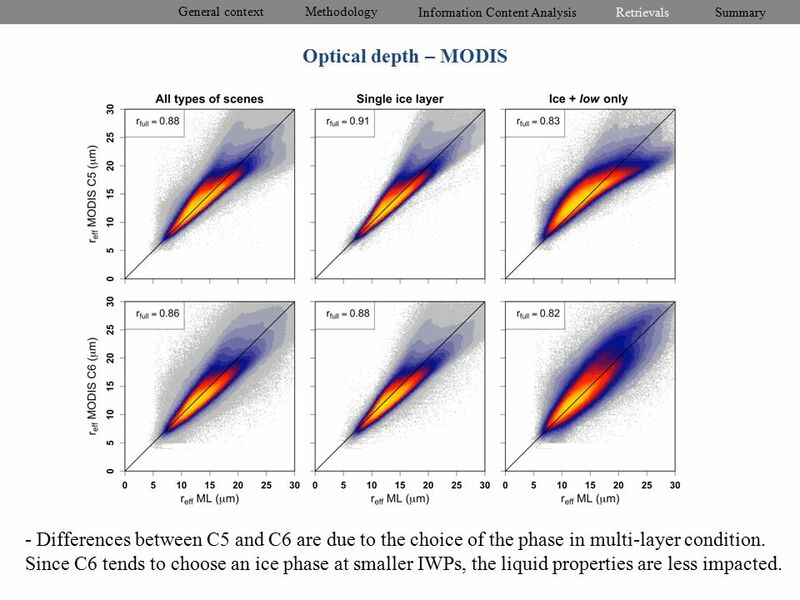 Since C6 tends to choose an ice phase at smaller IWPs, the liquid properties are less impacted. 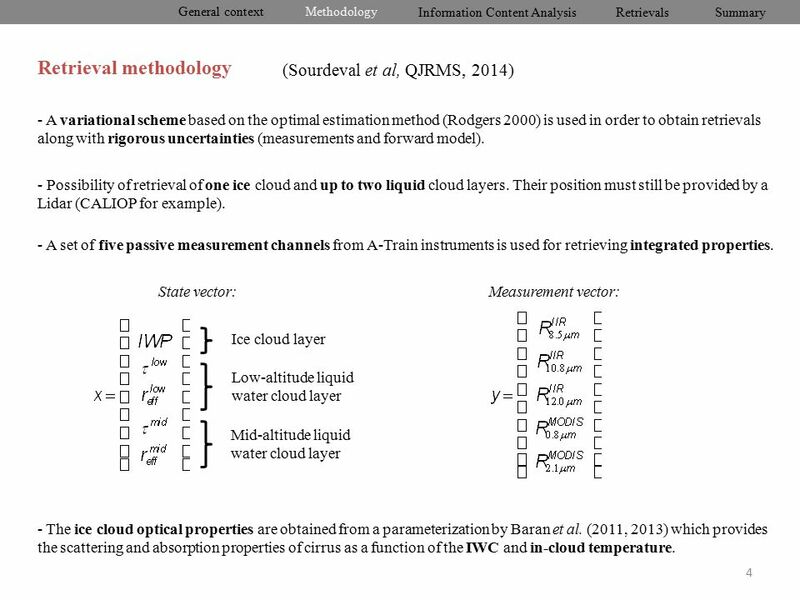 Download ppt "A Methodology for Simultaneous Retrieval of Ice and Liquid Water Cloud Properties O. Sourdeval 1, L. C.-Labonnote 2, A. J. Baran 3, G. Brogniez 2 1 – Institute." 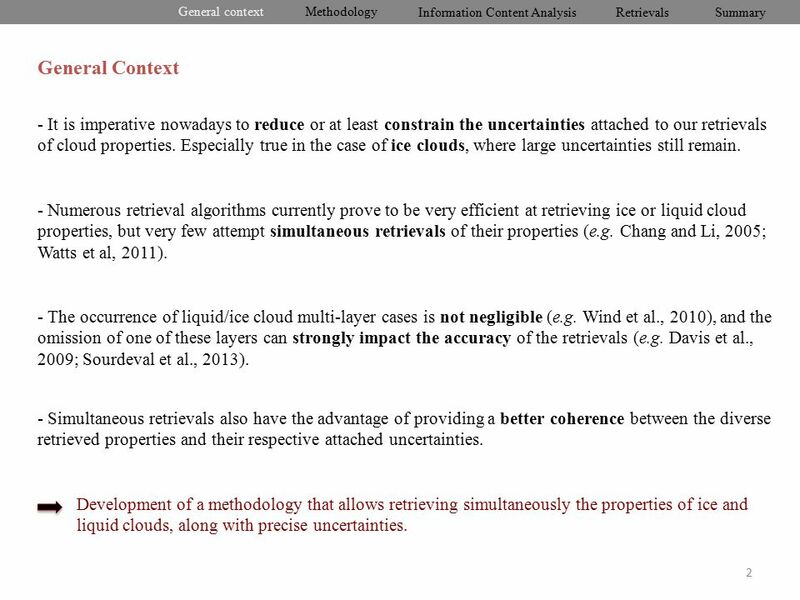 Lidar observations of mixed-phase clouds Robin Hogan, Anthony Illingworth, Ewan OConnor & Mukunda Dev Behera University of Reading UK Overview Enhanced. 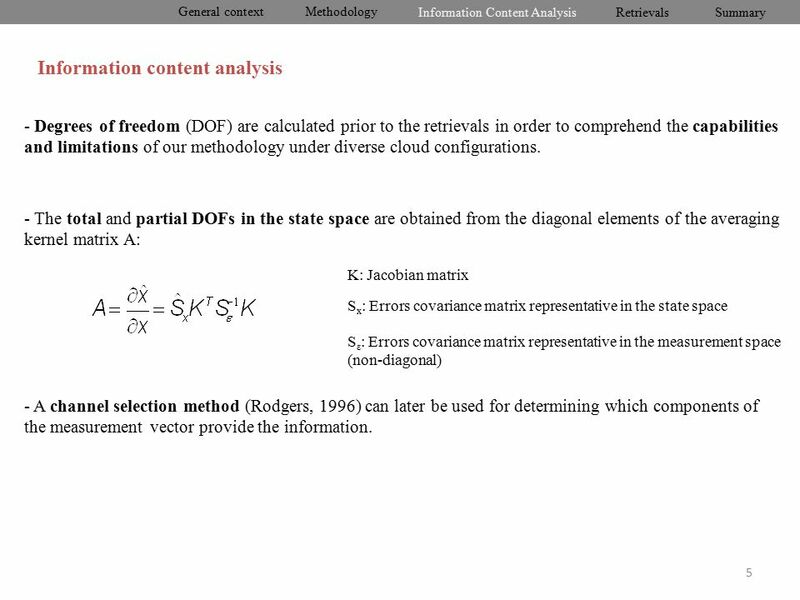 R. Forbes, 17 Nov 09 ECMWF Clouds and Radiation University of Reading ECMWF Cloud and Radiation Parametrization: Recent Activities Richard Forbes, Maike. 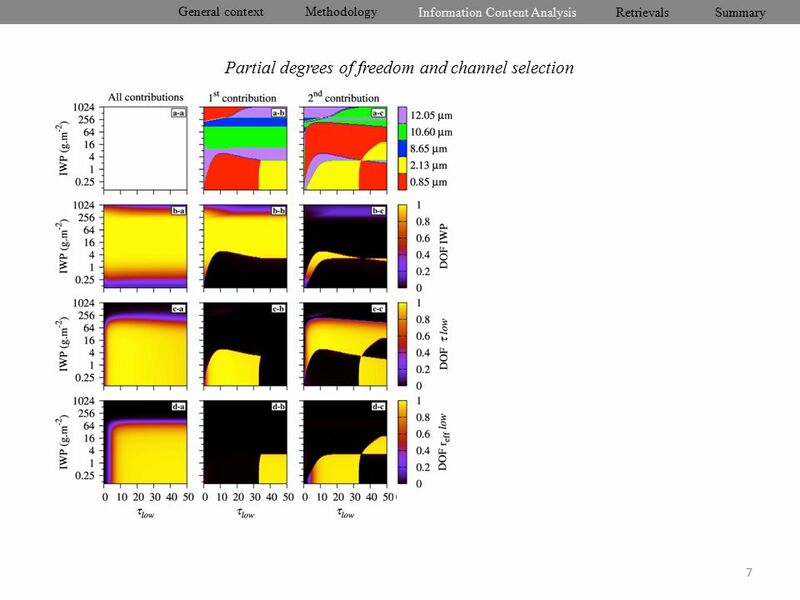 Robin Hogan, Richard Allan, Nicky Chalmers, Thorwald Stein, Julien Delanoë University of Reading How accurate are the radiative properties of ice clouds. 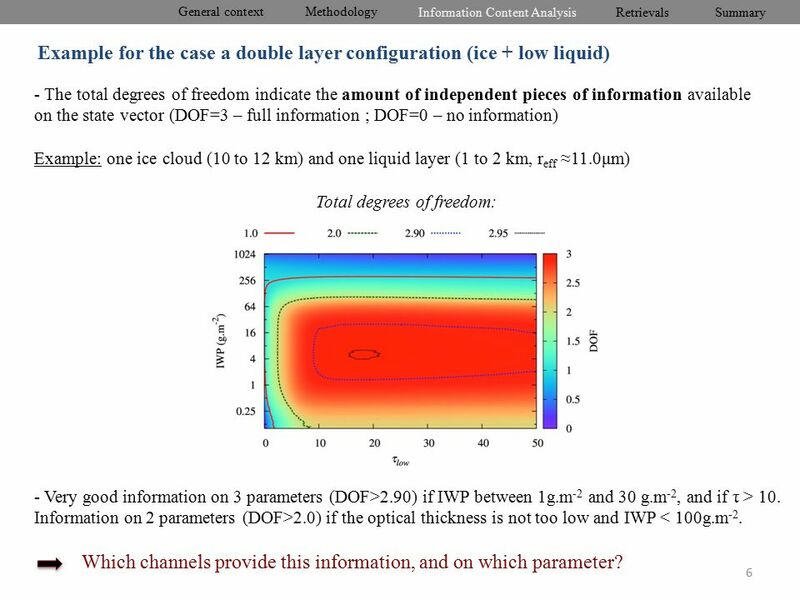 Robin Hogan & Anthony Illingworth Department of Meteorology University of Reading UK Parameterizing ice cloud inhomogeneity and the overlap of inhomogeneities. 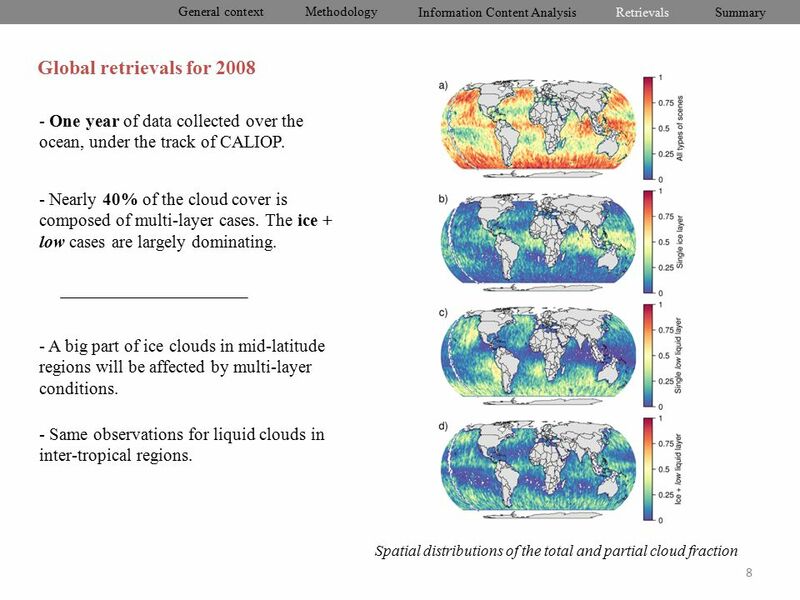 Robin Hogan Julien Delanoe University of Reading Remote sensing of ice clouds from space. Modelling radar and lidar multiple scattering Modelling radar and lidar multiple scattering Robin Hogan The CloudSat radar and the Calipso lidar were launched. Marc Schröder et al., FUB BBC2 Workshop, De Bilt, 10.´04 Problems related to absorption dependent retrievals and their validation Marc Schröder 1, Rene. Enhancement of Satellite-based Precipitation Estimates using the Information from the Proposed Advanced Baseline Imager (ABI) Part II: Drizzle Detection. Use of Kalman filters in time and frequency analysis John Davis 1st May 2011. THE AUSTRALIAN NATIONAL UNIVERSITY Infrasound Technology Workshop, November 2007, Tokyo, Japan OPTIMUM ARRAY DESIGN FOR THE DETECTION OF DISTANT. Motivation The Carolinas has had a tremendous residential and commercial investment in coastal areas during the past 10 years. However rapid development. TRMM Tropical Rainfall Measurement (Mission). Why TRMM? n Tropical Rainfall Measuring Mission (TRMM) is a joint US-Japan study initiated in 1997 to study. 1 An initial CALIPSO cloud climatology ISCCP Anniversary, July 2008, New York Dave Winker NASA LaRC. 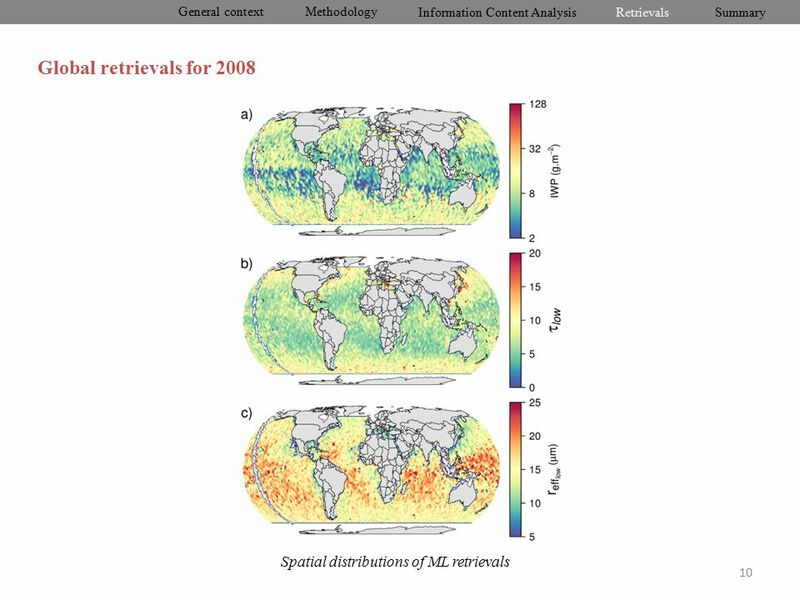 Aerosol radiative effects from satellites Gareth Thomas Nicky Chalmers, Caroline Poulsen, Ellie Highwood, Don Grainger Gareth Thomas - NCEO/CEOI-ST Joint. CPI International UV/Vis Limb Workshop Bremen, April Development of Generalized Limb Scattering Retrieval Algorithms Jerry Lumpe & Ed Cólon. An evaluation method of the retrieved physical quantity deriving from the satellite remote sensing using analysis of variance in experimental design Mitsuhiro.